Today we trained with Loren Landow. Then FitFoods4u.com delivered my meals. 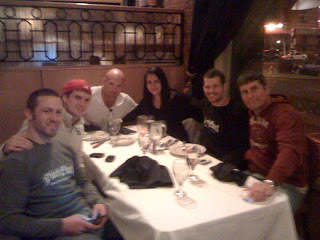 Later Keith Jardine came over and we went to a Brazilian BBQ in downtown Denver. Now it's bedtime!